Be the Change books are set to be a collection of four books, each with an animal protagonist. The first book sees a little tiger shark called Finn lead the way. His tale shows the impact of plastic in the ocean and paints a rather grave picture of the reality for marine wildlife. While the story has a wonderfully positive ending, its message really connects with the reader. The beautiful illustrations are also sure to draw in any young person. It’s really positive to see people like Stevens trying to make a change. Books like these are a fantastic way to engage and interest youngsters, especially if they become part of the school curriculum. 100% of the profits from this book will be split between the organizations: “GREENPEACE” and “SOCIAL PLASTIC”. 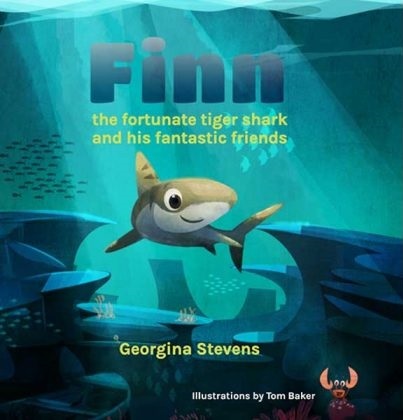 Find out more about Be the Change books and support her initiative by buying the new Finn the fortunate Tiger Shark book from Amazon.